Unless this is your first visit to the Dyno-tab® website, you’ll notice that things look a little different. We’ve revamped our site in order to provide you with a superior shopping experience, more efficiency in ordering and processing and lots more useful and up-to-date content. If you haven’t already registered, please do so now and receive notices of sale items, specials and other news. We’re excited about the new look and we hope you like it! The Middle East's largest trade show for international automotive aftermarket products. With 1,955 exhibitors from 57 countries and 30,000+ visitors from 136 countries, Automechanika Dubai continues to be the premier automotive aftermarket products show in the region. Industry leaders attending the exhibition make Automechanika Dubai an excellent source of busiess networking opportunities. If you will be at the show, come see us at the Dyno-tab®/Chemplex booth, No. SA-C38 in the USA Pavilion. We'd love to see you and discuss opportunities in 2018. With over 2,000 exhibitors from 58 countries and 30,000+ visitors from 138 countries, Automechanika Dubai continues to be the premier automotive aftermarket products show in the region. Industry leaders attending the exhibition make Automechanika Dubai an excellent source of busiess networking opportunities. If you will be at the show, come see us at the Dyno-tab®/Chemplex booth, Hall 7, Stand No. A-26. Stop by and help us celebrate the start of our 25th year! 1992 - 2017. With 2,000+ exhibitors spanning 59 countries and 30,800 visitors from 130 countries, Automechanika Dubai is geared up to supply intermediate markets. The number of key buyers and decision makers attending the exhibition continues to rise each year, making the show an important source of new business contacts. If you plan to attend, visit us at the Dyno-tab®/Chemplex booth, Hall 8, Stand No. F16. Hope to see you there! The exhibition will be segmented into 10 categories, including Car wash & Auto Services Chain, Car Beauty & Car Care Products, Car Window Film, Auto Electronics, Auto Boutique and Supplies, Auto Accessories, Tuning, Lubricant, Car Seat Cushion and Car Foot Mats. 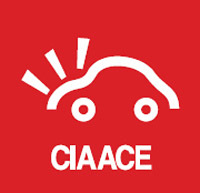 CIAACE owns 16 exhibition halls and totally 250,000 square meters. CIAACE 2016 will attract over 6000 exhibitors and 300,000 professional audiences, buyers, domestic and foreign purchasing groups during 4 days. If you are going be in Beijing, be sure to come by and see what's new at the Dyno-tab®/Chemplex location. Located at the majestic Sands Expo, AAPEX 2015 will feature over 2,200 automotive aftermarket manufacturers and suppliers showcasing innovative products, services and technologies to 39,000+ targeted buyers. Check out the Dyno-tab®/Chemplex booth (#647 Upper Level) if you plan to attend. We'd love to meet you. 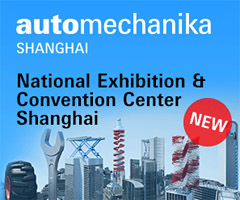 Automechanika Shanghai 2015 - New Venue! After more than a decade of development and dedication to the industry, Automechanika Shanghai has built its reputation as the world-renowned "must-attend" industry event for information exchange, marketing, trading and education, serving the whole spectrum of the automotive industry. If you are going be in Shanghai, be sure to come by and see what's new at the Dyno-tab®/Chemplex location: Booth 2AA42, Hall 2. Find out more here. Renowned as the region’s largest and most comprehensive trade and networking exhibition for the automotive aftermarket. If you plan to attend, visit us at the Dyno-tab®/Chemplex booth, Hall H2, Stand 319. Check out some of our new products! AAPEX represents the $395 billion global motor vehicle aftermarket. More than 130,000 professionals from around the globe participate in Automotive Aftermarket Industry Week in Las Vegas, Nevada. 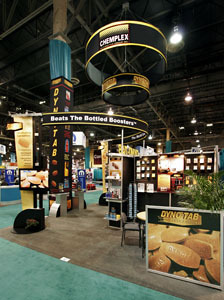 In 2011 59,751 qualified buyers attended AAIW/ AAPEX. 15,056 were international and 44,695 domestic. Check out the Dyno-tab®/Chemplex booth (647) if you plan to attend. We'd love to meet you. 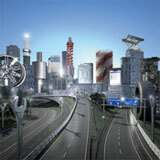 This international trade fair showcases automotive parts, equipment and service suppliers. The principle exhibitor catagories are: Parts & Systems, Accessories & Tuning, Repair & Maintenance, IT & Management and Service Station & Car Wash facilities. This is a spectacular venue and always has a stong turnout of visitors and buyers as well as exhibitors. Make plans now to attend this world-class automotive event. If you are going be in Shanghai, be sure to come by the USA Pavillion and see what's new at the Dyno-tab®/Chemplex location (Booth W1B25). Find out more here. With more than 1,324 exhibitors and over 20,700 trade visitors, Automechanika Dubai is geared up to supply intermediate markets. A trading link to markets difficult to reach, this trade fair is a good platform to find out more about new products, find new suppliers and compare product alternatives. Today, Automechanika Dubai is much more than a pure trade fair. Situated at the hub of a thriving region, the event is recognised as the ‘not-to-be-missed’ professional networking platform for the regional trade as well as an interactive discussion forum for the latest trends, developments, challenges and requirements of the industry in the wider region. The automotive trade show in Dubai is one of our favorites. If you will be there, please visit the Dyno-tab®/Chemplex display. We should have some exciting new products then that we feel you will be interested in. Find out more here. Automechanika Kuala Lumpur is Malaysia's leading international trade fair for the automotive industry targeting trade visitors from ASEAN. 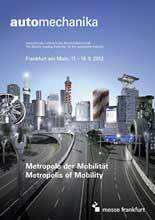 Nearly 4,500 visitors from 56 countries and regions (2011) with 166 exhibitors from 18 countries and regions (2011). Automechanika KL is definitely one of the premiere automotive trade shows for the Asian market and buyer and exhibitor enthusiasm is always high. If you plan to attend, be sure to come by and see what's new at the Dyno-tab®/Chemplex booth (1H07). We'd love to meet you. Find out more here. 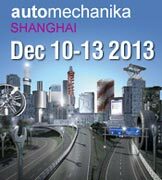 Automechanika Shangai featured 3,619 exhibitors from 36 countries in 2011. This international trade fair showcases automotive parts, equipment and service suppliers. The principle exhibitor catagories are: Parts & Systems, Accessories & Tuning, Repair & Maintenance, IT & Management and Service Station & Car Wash facilities. This is a spectacular venue and always has a stong turnout of visitors and buyers as well as exhibitors. Make plans now to attend this world-class automotive event. If you are going be in Shanghai, be sure to come by and see what's new at the Dyno-tab®/Chemplex location (Booth W1B25). Find out more here. AAPEX represents the $395 billion global motor vehicle aftermarket. More than 128,000 professionals from around the globe participate in Automotive Aftermarket Industry Week in Las Vegas, Nevada. Dyno-tab®/Chemplex location (Booth E59) and say hello to the team! Find out more here.